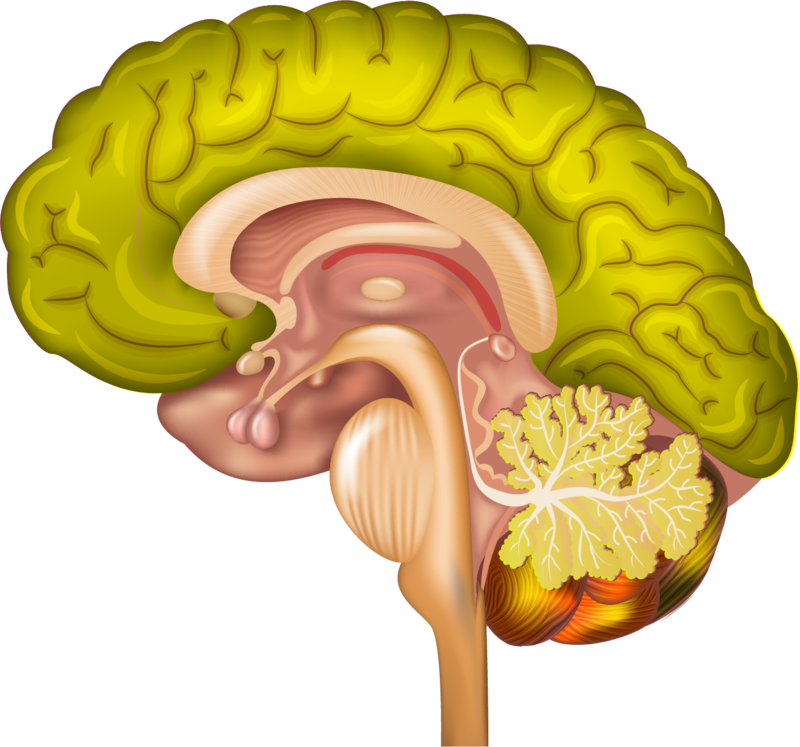 The Neomammalian Complex, from a well-known yet outdated model of the human brain, described by neuroscientist Paul MacLean, has been labeled the “new cortex”—the executive part of our system that is responsible for all higher-order conscious activity such as language, abstract thought, imagination, and creativity, to name just a few. It also houses much of our memory—not just our biographical memory, but all of the automatic memories essential to talking, writing, walking, playing the piano, and countless other familiar activities (keep in mind, however, that the division of the brain into three large parts is a highly simplified conception: functionally the connectivity between all these regions greatly blurs the boundaries). Of special interest to therapists is the prefrontal cortex—the part of the brain right behind our forehead—which may be slower in responding to incoming information than the limbic system, but is much more sophisticated in its processing. Such “slow” thinking is the hallmark of our human intelligence. Complex and new thinking on technical, emotional, social, and logical planes takes place here. It is where we can be rational and logical, creative and inventive. But, significantly, the prefrontal cortex can be “hijacked” by the limbic system in the event of a perceived threat (whether imagined or real). Our prefrontal can “go offline” as blood flow is directed to the deeper limbic system, the first responder in a priority one mission to keep us safe. Contemporary neuroscience may refer to the “executive control network” as a more satisfactory model of brain function than the Neomammalian complex.